The community gets together every year at the JavaOne conference to applaud in person the winners of three awards: JCP Member/Participant of the Year, Outstanding Spec Lead, and Most Innovative JSR. This year’s unveiling will occur Tuesday evening, October 4, at the Annual JCP Community Party held at the Anzu Restaurant in Hotel Nikko, San Francisco. With great appreciation, the community recognizes the award nominees, listed here, with more detailed profiles below. Mike DeNicola. * Winner * For his role as JCP.next Working Group Lead. While not officially Spec Lead of JSR 348, Mike has contributed a lot in getting the JCP reform plans where they are at a great pace, compared to earlier efforts. Helping the JCP to be fit for the next decades of Java following the Oracle-Sun merger. IBM. For their participation in the OpenJDK project, which has significantly increased the momentum of Java SE. London Java Community. For their efforts to involve the developer community in the activities of the JCP. Doug Lea. After a long and distinguished tenure on the JCP EC, Doug Lea (along with Tim Peierls and The Apache Software Foundation) felt he had no choice but to resign at the end of 2010. In doing so, he demonstrated integrity, independence, and courage that truly sets him apart. If the JCP is to retain any shred of legitimacy and relevance in the future, it will be through the actions other members who display the traits exemplified by Doug: integrity, independence, and courage, coupled with unparalleled technical expertise and a genuine love for the Java ecosystem. John Rose * Winner * (JSR 292 Supporting Dynamically Typed Languages on the Java Platform). Due to his excellence in ensuring consensus across the community -- both EG members and the wider JVM language community. Alex Buckley (JSR 901, Java Language Specification and JSR 924: Java Virtual Machine Specification). For his leadership. Mark Reinhold For his leadership and promotion of the first Java SE platform JSR in several years. JSR 321, Trusted Computing API for Java. Beside a picture book example for Agile and Transparent Expert Group work, JSR 321 also anticipated another vision of JCP.next, by being the first JSR with a known implementation in language other than Java, called Hybrid JSR by JCP.next (Part 2 and beyond) Apart from all that, Trusted Java holds the key to a safer more reliable and trusted usage of PaaS/Cloud or other Pervasive Technologies like Social Networking and Mobile. JSR 334, Small Enhancements to the Java Programming Language (Project Coin). Due to the process it was run under and the requirement of participants to 'put some skin in the game'. JSR 292, * Winner * Supporting Dynamically Typed Languages on the Java Platform. As the first JSR specifically designed to support languages other than Java, JSR 292 will ensure the long-term success of the Java VM. JCP Leadership Award to Patrick Curran, JCP program Chair In the last eighteen months Patrick has driven us as a body and Oracle's management into action. He has addressed those things that we raised as issues and to the best of his abilities brought resolution to some very difficult items. Patrick has been an agent for positive change in the JCP. Most Innovative JSR - Innovation is key to the success of the JCP program and helps ensure we remain a fresh and vibrant community. This award recognizes the Spec Lead and Expert Group that have introduced the most innovative new JSR for the Java community (Java SE, Java EE or Java ME) in the past year. Mike DeNicola is director of Industry Relations at Fujitsu America, Inc. Since 2001, he has represented Fujitsu Limited, the world's third largest IT services provider, on the JCP SE/EE Executive Committee (EC). Back in 1996, when in charge of Software Development at Fujitsu Software Corporation, Mike gave the order to convert all applications to Java, eliminating the need for two sets of code, Mac and PC. Since then, Fujitsu has implemented Java across a broad range of platforms, from telephones to mainframes. For many years, the Fujitsu J2EE certified INTERSTAGE Application Server held top share of the Japanese market and was sold in many other countries worldwide as well. By participating in the JCP program, Fujitsu is able to see the direction of Java, permitting the company to design and release Java compliant products that include the latest Java innovations. As the Fujitsu representative on the JCP SE/EE EC, Mike has an exemplary record in terms of voting and meeting attendance, participation at press conferences, solicitation of JCP-supportive Fujitsu quotes, attendance at JavaOne JCP BOF sessions, and meetings with JUG leaders and Spec Leads. Mike, having previously chaired the working group for JSR 306, which defined many of the JCP.next requirements, now chairs the working group for JSR 348 to implement JCP.next, JCP 2.8, making JSR and EC activity more transparent. Mike brings a wealth of experience to bear on his work with the JCP program. Through his years of sitting on Boards of various software industry consortia and standards organizations, he has learned to heed and address diverse opinions with win-win solutions. SouJava formally joined the JCP program in 2005, scoring a place in history as the first Java Users Group (JUG) ever to do so. The founder and coordinator of SouJava, Bruno Souza, is a Java developer and open source evangelist. Under his guidance, SouJava has become the largest and most active Brazilian JUG, including 40,000 Java users and promoters. 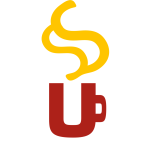 Founded in 1998, the JUG is a non-profit organization that hosts activities and events all over the country, including the sizable JustJava conference in Brazil, the university-focused Abapuru, and two international developer conferences, Sou+Java and CaféBrasil. This group facilitated the adoption of Java standards and technology by major public and private enterprises and actively promoted open source technology by organizing the influential "Java Livre" event as part of FISL, Latin America's open source conference. The JUG enabled the Brazilian government to acknowledge the importance of the JCP program and add open source Java standards to the government's technological agenda. SouJava is active within the JCP community, with several JUG directors and members participating as Observers, Experts, and Spec Leads in JSRs 176, 310, 314, and others. SouJava holds a ratified seat on the SE/EE EC and uses that position to continue influencing vendors, developers, and users to innovate, contribute, and implement Java standards. SouJava considers the JCP program a primary reason why Java is widely adopted in Brazil. Participation in the program helps the JUG guarantee the quality of the process, while giving their members better insight into and influence over the future of Java technology. IBM is proud to be a leader in the Java open specification community. IBM has been a member of the JCP program from its inception in 1998. In March of 1999, IBM proposed and led the Expert Group for the very first Java Specification Request (JSR 1) to develop the Real-Time Specification for extending the Java platform. Since that first JSR, IBM's has leveraged our breadth of resources and understanding of information technologies to make substantial contributions to Java technologies through both leading and participating in numerous JSRs, second in number only to Oracle. IBM has contributed significantly to the API specifications of the Java ME, SE, and EE platforms, as well as in numerous other Java specifications such as the Java Foundation Classes, Accessibility APIs and improving internationalization support in Java. As a proactive leader and participant in JCP Expert Groups and Executive Committees, IBM will continue to use its expertise and resources to make contributions for the betterment of Java technologies. More recently IBM and Oracle have agreed to closely collaborate in developing OpenJDK as the open source Reference Implementation for Java SE. We believe this effort will help provide the framework to attract an even larger community of developers, accelerating innovation in the Java SE platform. 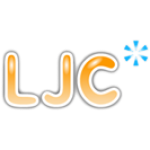 London's official Java Users Group, London Java Community (LJC), has over 1900 members. Their passion for the Java platform is reflected in the group’s decision to join the JCP program in Spring 2011. LJC has the largest single concentration of Java developers in Europe, the Middle East, and Africa (EMEA). Member experience ranges from undergraduates and new programmers through renown architects. Although members have a strong bias towards open source and free software, most of them work in corporate environments. By securing a seat on the SE/EE EC during the special election of 2011, LJC hopes to push the JCP program toward "extreme openness," above corporate or private interests. The LJC goal is to help junior developers become lifelong technical learners. Their yearly Open Spaces-style conference now features JCP-inspired talks, such as hacking the OpenJDK compiler. Before the technical presentation at the group’s near-weekly event, a speaker gives a lightning talk on a JCP-related topic: demystifying the process, which JSRs need help, and so on. LJC also acts as incubator for other Java communities by helping promote them and sharing resources. LJC’s Adopt-a-JSR program encourages JUG members to promote a JSR relevant to projects they’re involved in. LJC participates in JSR 348, and members contribute to JSRs 292, 294, 310, 335, and 107. The London JUG is represented by Ben Evans, who works as a consulting lead architect, principal engineer, and Java expert at some of the world's leading financial service firms. Doug Lea is a professor of Computer Science at the State University of New York (SUNY) at Oswego. He is author of Concurrent Programming in Java and co-author of Object Oriented System Development and Java Concurrency in Practice. He is the primary author of several widely used software packages and components, as well as articles, reports, and standardization efforts dealing with object-oriented software development, including those on specification, design, and implementation techniques; distributed, concurrent, and parallel object systems; and software reusability. He has served as chair, organizer, or program committee member for over 100 conferences or workshops in these areas. In the JCP community, Doug served as the Spec Lead for JSR 166, Concurrency Utilities, and has served as an Expert Group member on most JSRs dealing with core Java SE for the past five years. Doug also served on the JCP SE/EE EC until 2010; his main goal in serving on the SE/EE EC was to ensure the technical excellence of the Java platform. John Rose is a consulting engineer at Oracle, working on the OpenJDK project. He started working on Java technology at Sun Microsystems in 1997, contributing widely to functionality and performance of the JDK stack. The variety of his past projects includes inner classes, the initial port of HotSpot to SPARC, the Unsafe API, profile-driven JIT optimizations, JVM metadata tuning for object processing, scripting language design and implementation, and Pack200 application compression. As a longtime member of the HotSpot compiler group, John has enjoyed participating in numerous JIT improvements that have helped make HotSpot a premier foundation for productive programming. Before joining Sun, John worked on dynamic and hybrid languages, including Common Lisp, Scheme ("esh"), and dynamic bindings for C++, as well as compiler advanced development. Still earlier he invented (with Guy Steele and Stephen Wolfram) the C* parallel language at Thinking Machines. John has degrees in mathematics and English literature, and is a part-time high school teacher. His blog is at http://blogs.oracle.com/jrose/. Within the JCP program, John co-led JSR 200, which successfully standardized and improved a hyper-compression algorithm. As a member of the JSR 241 Expert Group, he contributed a semi-formal grammar to the Groovy scripting language. Most recently, as Spec Lead for JSR 292, he worked on specifying new support in the JVM standard for dynamic invocation and related facilities. John is founder of the Da Vinci Machine Project, which includes the Reference Implementation for JSR 292, as well as other more experimental JVM features to serve the needs of programming language implementors. Alex Buckley is the specification lead for the Java Language and the Java Virtual Machine at Oracle. He works on a variety of projects to increase the modularity and productivity of the Java SE platform, and collaborates widely with experts in academia, industry, and standards bodies. He holds a Ph.D. in Computing from Imperial College London. He is the co-Spec Lead (with Michael Ernst) of JSR 308, and the Maintenance Lead of JSRs 14, 175, 201, 202, 901, and 924. The Java Language Specification and the JVM Specification are the foundation of the Java SE platform, maintained through JSR 901 and JSR 924, respectively. In 2011, Oracle's commitment to deliver Java SE 7 allowed Alex to perform the first comprehensive Maintenance Review of these JSRs in many years, during which period he had collected extensive feedback from compiler and JVM implementers. He made hundreds of clarifications and corrections to both specifications, ensuring that leading implementations were not unduly restricted while continuing to define clear rules of compliance. In addition, Alex integrated new Java language and JVM features from JSR 334 (Project Coin) and JSR 292 (invokedynamic) into the specifications, accounting for feature interactions and ensuring long-term consistency. To improve conformance testing and expand publishing options, Alex also upgraded the specification sources to a modern, open format. Alex speaks at JavaOne, Devoxx, and QCon conferences, and blogs at http://blogs.oracle.com/abuckley/. Mark Reinhold is the Chief Architect of the Java Platform Group at Oracle, where he works on the Java SE Platform, OpenJDK, and related projects. He previously played a similar role at Sun Microsystems. His past contributions to the platform include character-stream readers and writers, reference objects, shutdown hooks, the NIO high-performance I/O APIs, library generification, and service loaders. Mark served as Star Spec Lead for New I/O (JSR 51), Java SE 6 (JSR 270) and Java SE 7 (JSR 336), and is now the Spec Lead for Java SE 8 (JSR 337). He currently leads the JDK 8 and Jigsaw projects in the OpenJDK Community, where he also serves on the Governing Board. Mark holds a Ph.D. in Computer Science from the Massachusetts Institute of Technology. He speaks frequently at conferences such as Devoxx and JavaOne. His blog is found here. The number of machines providing Trusted Platform Modules (TPMs) is rising steadily. Software developers who want to develop applications or frameworks for making use of TPMs need a way to access the functions a TPM offers, but previously there were no Java specifications for accessing the hardware TPM. JSR 321, Trusted Computing API for Java, not only offers this functionality, but also strives to provide a high usability interface for Java SE/EE platform developers. Among other Trusted Computing APIs it stands out for its compact interface and quick learning curve. The specification is based on the functionality of the TPM Software Stack specification of the Trusted Computing Group. Additional information is provided at jsr321.java.net. Related lab exercises were used in European Trusted Infrastructure Summer School (ETISS) and published in academic workshops and Wiley's Software: Practice & Experience journal. JSR 321 is in the Proposed Final Draft stage of the project and is led by Ronald Tögl, representing IAIK of Graz University of Technology. The effort that became JSR 334, Small Enhancements to the Java Programming Language, started in OpenJDK as Project Coin, whose motto was "Making things programmers do every day easier." The coin-dev mailing list hosted hundreds of subscribers to thousands of messages discussing the dozens of submitted proposals of small language changes. Six proposals relevant to all Java developers were selected for inclusion in Java SE 7: the diamond syntax and simplified varargs method invocation made generics easier to use, multi-catch and try-with-resources allowed for more concise error handling, and strings in switch and the improved literals improve consistency and clarity. Evaluation of the proposals included a novel quantitative approach to language design; experiments ran over existing Java code to help judge the relative merits of different algorithms for supporting the type inference behind the diamond syntax. The Expert Group for JSR 334 included many coin-dev veterans. The participation of IBM and JetBrains allowed Eclipse and IntelliJ to develop support for JSR 334's language changes as the JSR was in development, which complemented Oracle's work supporting the language features in javac and NetBeans. The Reference Implementation included systematic efforts to update the JDK libraries to take advantage of the new language features. JSR 334 completed in just over eight months, with Joe Darcy, Oracle’s lead engineer for Project Coin, serving as Spec Lead. Along the way, coin-dev and the Expert Group continued interacting to refine the work product. For those not wanting to follow the high traffic of coin-dev, a steady stream of blog entries summarized major events and developments. JSR 292, Supporting Dynamically Typed Languages on the Java Platform, adds a new byte code, invokedynamic, to support efficient and flexible execution of method invocations in the absence of static type information. This specification enables implementers of dynamically typed languages -- such as Lisp, Python, Ruby, and Smalltalk -- to directly target the object model of the Java Virtual Machine (JVM). By enabling the dynamically typed byte code to execute efficiently and safely, and by supporting hotswapping, JSR 292 allows developers to exploit the high-end performance capabilities of JVMs. Hotswapping is the ability to alter code while it is running. John Rose represented Oracle in leading the specification to its final release July 2011.